PAEDIATRIC « First Aid Scotland Ltd.
Public Course Cost Public courses : £95.00 + vat per delegate. Description Our training courses have been designed by qualified professionals with over 25 years’ experience in the NHS and Emergency Services, using the most up to date techniques as recognised by the Resuscitation Council (UK), the European Resuscitation Council (ERC), and the Health & Safety Executive (HSE). Our Paediatric first aid course is primarily aimed at child minders, nursery nurses and those working professionally with infants and children. This course meets and exceeds the guidelines required for registration on both the Ofsted Childcare Register and with the Care Inspectorate in Scotland. Please note full content of this course on the syllabus link below. This is not simply a baby and child course as offered by some of our competitors. 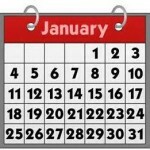 Ofsted suggest a 2 day (12 hour) course, however acknowledge that this course can be run over a shorter period. 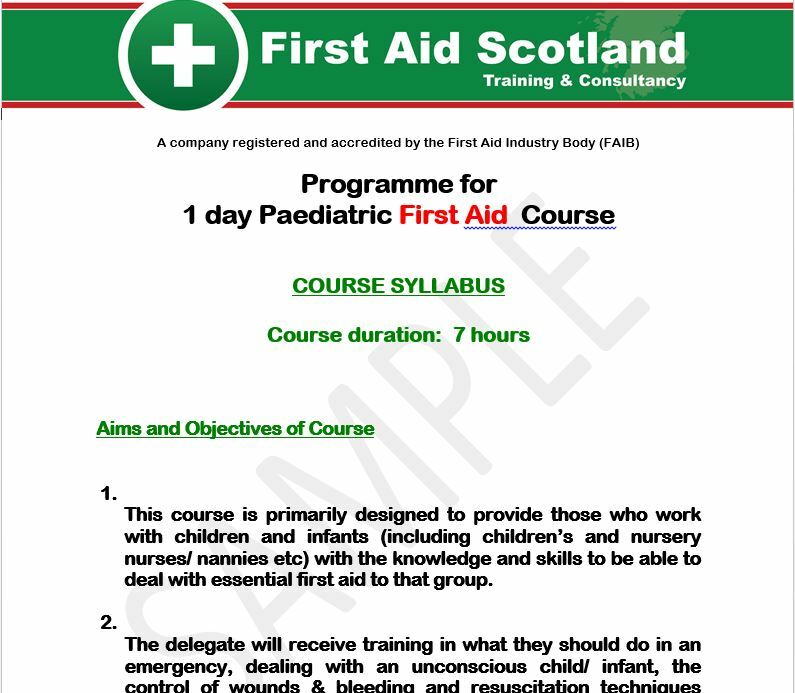 Please note that this 7 hour course fulfils all the criteria for paediatric first aid training in Scotland, covers more than the 12 hour and has been run for several local authorities, including Edinburgh and West Dunbartonshire, and is accepted by major nursery groups and companies requiring staff to have an acknowledged paediatric first aid certificate. We use enough baby and child mannikins and equipment that ensures delegates are not sitting waiting to practice, hence the reduced timescale. • contents of a paediatric first aid box. This course can be run over 1 full day, weekends, or even 2 x half evenings (6:00pm to 10:00pm) to suit nursery requirements.